Charming villa of 115 sq. m. , 3 levels, 3 bedrooms (one is a mezzanine bedroom) , 2 bathrooms and 1 outdoor shower at the entrance of the house. Located in the unit of the 5 villas sharing a pool of 115m2. It accommodates up to 6 people.As we enter the villa, on the ground-floor we find a captivating fully equipped kitchen and a bathroom. Charming villa of 115 sq. m., 2 levels ,3 bedrooms, 2 bathrooms + 1 outdoor shower at the entrance of the dwelling. Located in the unit of the 5 villas sharing a pool of 115m2.It accommodates up to 6 people.On the ground-floor , we find in the same area, a tastefully decorated sitting-room with a plasma T.V. 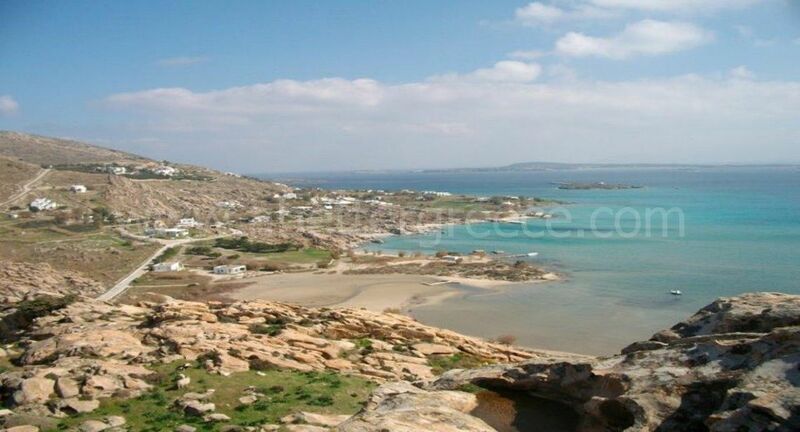 A very private villa located in the area of Kolybithres on Paros.Beautiful island villa in Kolymbithres, Paros with stunning views over Kolymbithres Bay and Naoussa Town.Walking distance from Kolymbithres beach which is a fully serviced beach and adjacent to the ancient site of the Mycenean Acropolis.The villa is 120 sq.m on 2,500 sqm garden land. A small traditionally built villa in the centre of Naoussa, just a 5 minute walk from the sea side. This new house is not isolated but is a quiet area and offers two large bedrooms, a fully eqipped kitchen, a large living room with sofas and comfortable furniture and a large veranda over looking the sea. The house can accommodate 4-5 people. These Villas are a newly built complex of nine separate and autonomous homes. Located on the west coast, just 6 km. from the port of Parikia and 5 km from the local airport, the picturesque port of Punta and the beautiful beach of Ayia Irini located at 3 km. All villas are equipped with A/C, TV-DVD, Satellite, refrigerator, kitchen & Jacuzzi, and a breathtaking view. Located only 200 meters from the water, this very spacious ( 260 sq) and fully furnished house, offers 3 big bedrooms, each with their own private bathroom, a beautiful living room and a fully equipped kitchen with all the facilities. The villa is air conditioned and offers a television, a DVD and a private barbecue area. The villa has two sun balconies, one on each floor. The villa has been built upon two levels and can be rented as one villa with two bedrooms (with independent entrances) or can be rented as two large apartments. Villas in Ayia Irini are comprised of nine independent houses that comfortably accommodate 4-6 people in gracefully simple Cycladic style.